Well looky here, do my eyes deceive me or is that DOTA 2 invite from Steam. 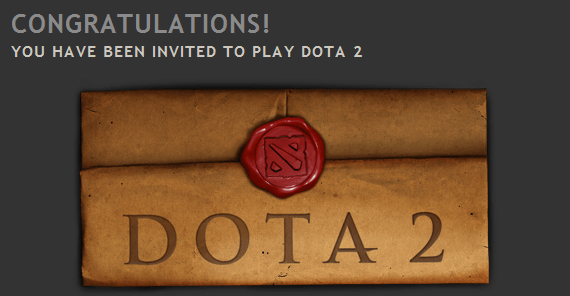 Nope they do not lie, I finally got my invite for the DOTA 2 beta. Damn it and Star Wars: The Old Republic is out and I already had a hard enough time juggling my play time with that and the Diablo 3 beta.